Bauer recently standardised their stereo services on their local multiplexes to 112kbps and mono services remain at 80kbps. 80kbps is free for Bauer to use on Sound Digital. The only logical conclusion there can be if Bauer is to use “full DAB” – or just DAB – is for one of the two Bauer owned DAB+ services to close which would allow Scala Radio to launch at 112kbps Stereo in line with all other Bauer services. Magic Chilled or Jazz FM? It won’t last long as inevitably Bauer will get bored when the listening figures don’t meet their expectations and they will have a new idea and target some other musical genre and age demographic. I think I can see who they are targetting with Scala…movie soundtrack buffs. Apparently, very popular on Classic FM. I remember reading an interview with Andrew Collins who presents on the station and he recounted a story about a cabbie who liked to listen to Classic FM for the music from movie soundtracks. Hence the employment of Mayo and Kermode. Not sure what the others bring to the table? Goldie made jungle/drum and bass music and was in a James Bond film? Angelica Bell writes about cycling in the Waitrose supplement, sorry I mean Waitrose and Partners. Is one of the others Gareth Malone? I’m afraid I don’t watch much BBC TV since Netflix came along but his face seems familiar and I’m too lazy to read. Where has it been announced that Gareth Malone is involved? The man third from the left is Mark Forrest. First of all, good luck to Scala Radio and its presenters! If Scala is going to be a DAB+ channel, it will require a minimum of 64kbps to reproduce classical music, honouring the respect for the genre! I don’t know the listening stats between delivery platforms for Classic FM, but every broadcasting platform bar DAB, reproduces acceptable sound quality for Classic FM! Even when Classic FM streamed at 160mbps on DAB, the decoder ran out of bit, unable to capture highly virtuosic pieces like Bach’s Bradenburg Concerto(s). What are you banging on about? You seem to have completely forgotten that people listen in their cars. You can listen to high bit rate streams online, but that isn’t much good on the move if it eats up the data on your phone. DAB is more convenient and free to use, which is why it has a 73% share of digital radio listening. If it [Scala] is going to be broadcasting at 128kbps stereo then it only means one of two things. Another service is switching to DAB+ or another service is leaving the platform. It more likely to be the former as most of Bauer’s DAB only services operate at 80kbps. Scala will acquire Heat’s 80 but needs another 48 which would come from one of their others switching from 80kbps DAB to 32kbps DAB+ leaving the other 48 to be added to Scala’s. 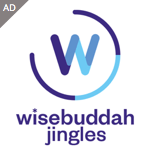 However, there was nothing in the advertisement to suggest that the Absolute 90s service was switching to DAB+ which begs the question, if its not them switching to DAB+ to make the room, then who is? This seems like a good change. When is it gonna happen? * Newish comers such as Lauren Wood ‘ Falling ‘ from the film The Lady in Red. just an idea. Sod computer selected music. It’s a nice idea but advertisers are generally not interested in the over-60s, so it’s unlikely to make any profit. Extremely short sighted as people with Time and Money are over 60. Younger than that they are working,not spending and have little free income. The Wireless is merely a jukebox these days, not a real radio station!. A great idea to bring back Primetime Radio. I believe it was the most listened to station on DAB back then so I am sure it would be a success. When they say “full DAB launch” will that be nationally (like BBC 6 Music) or in certain areas (like talkSPORT 2)? Personally I think this is more about proving to advertisers that Bauer is a serious player across the demographic spectrum. 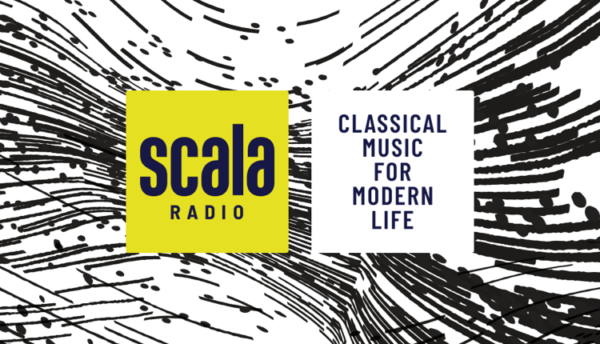 If they deliver even modest audience figures with Classic FM-alike Scala then you can expect an LBC-alike station to appear too in due course. I agree with Michael Josiah (great playlist, Sir) and John Copping. Primetime Radio was excellent. Gavin McCoy was programme director and with the likes of David Hamilton and Tony Myatt, the station was immensely popular. Bring back Gavin and the Team! Quality music and quality presentation – music for grown ups of all ages, not just the over 60’s! That will be a huge surprise to the ghosts of Sir Thomas Beecham, Kathleen Ferrier, George Frederick Handel, and countless others.